-- 2 oz. 10 oz. 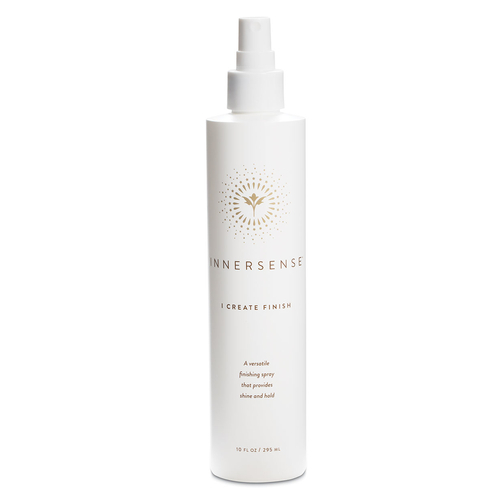 Give a tamed look to loose ends with the I Create Finish Spray by Innersense Organic Beauty. This versatile hairspray feels light on hair and creates a full look with a manageable feel. In addition, conditioning agents provide a balanced feel for both dry and oily conditions of the scalp. Your hair is left with a silky soft, glossy, shiny look. The formula is not consistent. I purchased this spray 3 times. The first two worked great and the last one is terrible. It is so sticky. It feels like I sprayed sugary juice in my hair. It messes up my blowout and my hairstyle. Very sad because I thought I finally found my fave green beauty hairspray! !